These very nice replacement shocks are designed to bolt up directly to the models listed on our compatibility chart. Overall length eye to eye: 314mm (12.375"); bushing eye I.D. 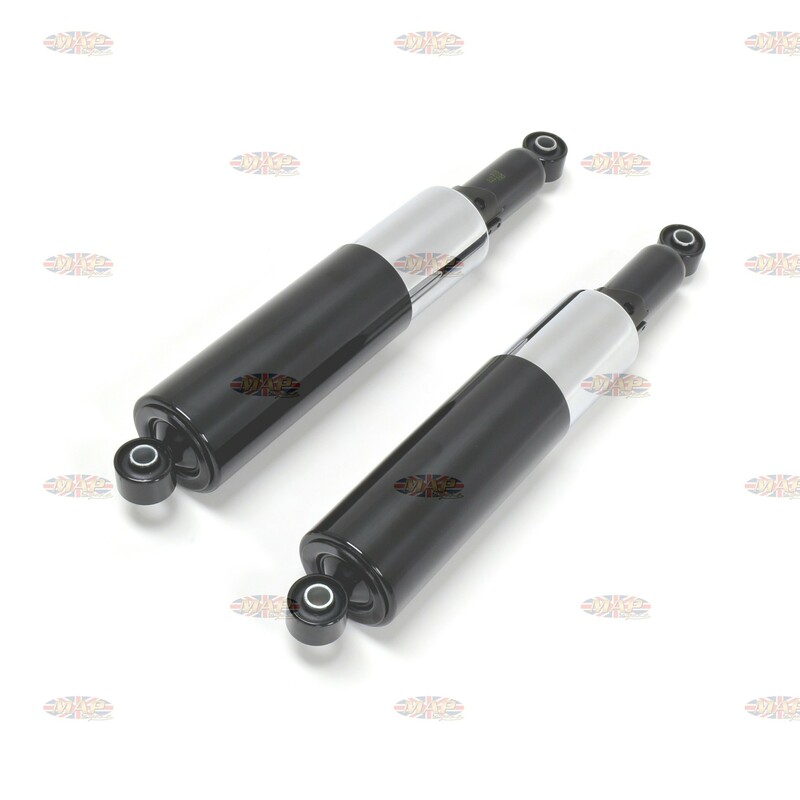 9.5 (0.374"); bushing width 24mm (0.944"); chromed spring with gloss black shock body; spring rate 110 lbs. 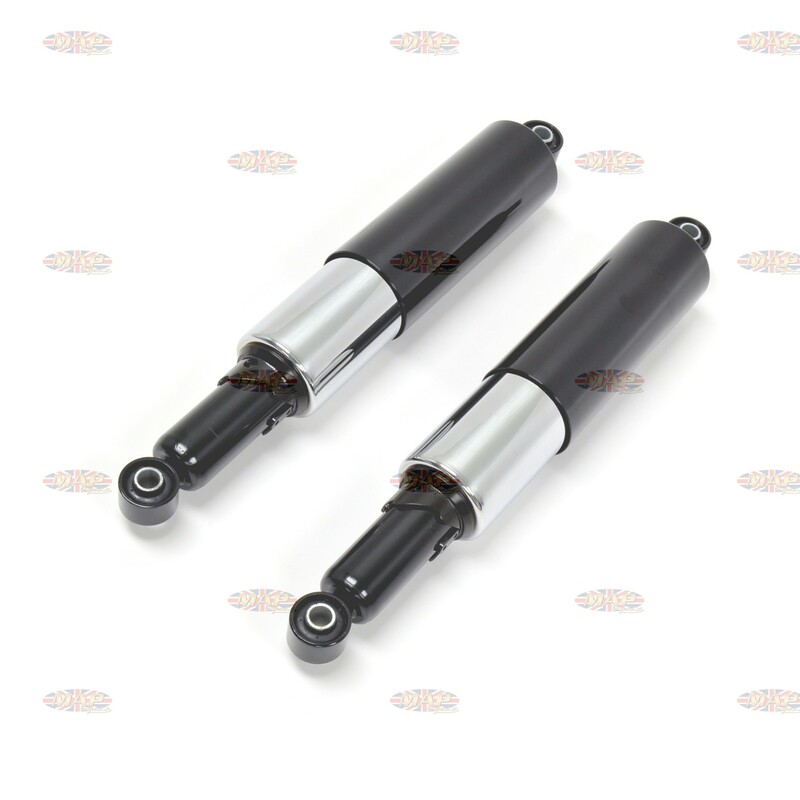 Have a Question about Triumph BSA Replica Rear Shrouded Shock Set ? Triumph models T120V, T140V, TR6C Tiger, TR7V Tiger (1972 and later), T150R, T150RV and T160V.